SITE Santa Fe opened in 1995 to present what was then the only international biennial of contemporary art in the United States, and one of only a handful of biennials around the world. From the very beginning, SITE established a commitment to a risk-taking and visionary perspective that continues to drive its programs today. Year-round exhibitions and educational programs encourage the creative and intellectual potential of the audience and uphold the region’s tradition of fostering avant-garde art. 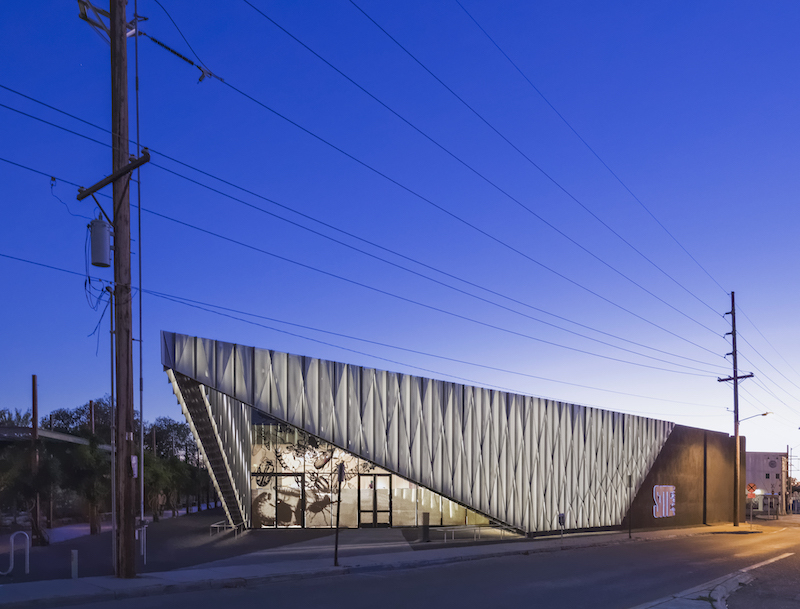 As an institution with a year-round contemporary art program, SITE hosts an Art & Culture series of lectures and performances, as well as an extensive education and outreach program for local schools, all of which attract over 20,000 local, national and international visitors annually. Since its launch, SITE has presented over 75 exhibitions—including eight biennials—featuring works by over 500 international artists.